Historically speaking, gaming on Linux has been “meh” at best. Most games weren’t very exciting, or they simply weren’t developed enough to become the great games they were envisioned to be. However, despite the non-perfect world of historic Linux gaming, there are still a few gems that you can easily download and play. A favorite of Linux gamers has always been Extreme Tux Racer, and plenty of other long-time Linux users will be going down a path of nostalgia. 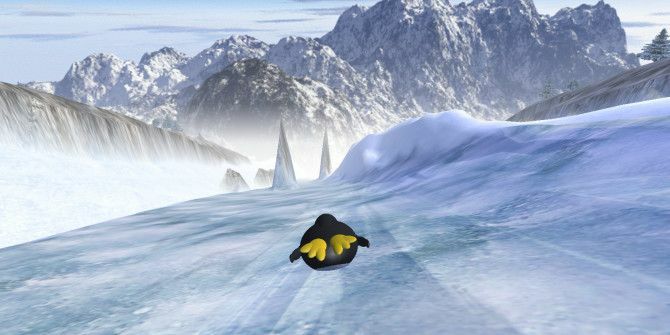 Extreme Tux Racer, originally just called Tux Racer, was released in late 2000 by a student studying at the University of Waterloo. The whole point of the game is that you get to play as Tux, the cute Linux mascot, and slide down various courses to try to achieve the best time as well as the best score. Your score can be increased by collecting herring on your way down the course. The game offers a large amount of courses to choose from, so you can easily play this game for longer than just a few hours. 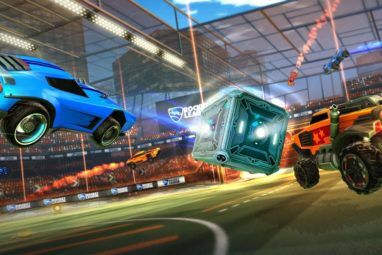 The game offers two different modes of play — a campaign mode and a practice mode. In campaign mode, you can choose from various campaigns and try to win all of the cups. In each cup, you’ll have to complete a set of courses in order within the specified time and herring count. If you fail, you’ll lose one of your four lives. Aborting a race will also cost you a life. The lives you have available apply to the entire cup, and not just each course. In practice mode, you can choose whatever course you want to race on, and there are no requirements. Instead, the game simply keeps track of your best times and highest scores. With practice mode, not only can you choose what course you want, but you can also determine the time of day, weather, and wind. Keeping track of your progress during a race is easy. You’ll see your time in the top left corner, your herring count in the top right corner, and a speed and progression indicator in the bottom right corner. You can control Tux with your arrow keys. The Up arrow makes him accelerate, the Left and Right arrows make him turn, and the Down arrow makes him brake. Additionally, you can configure other gaming input devices in the settings if you would like. Keeping control of Tux becomes difficult at higher speeds. The terrain he’s on also makes quite a bit of difference. If he’s on snow, it’ll be easier to maneuver him, and coasting will reduce his speed at a slow rate. If he’s on rocks, he’ll slow down no matter what, so try to avoid them as much as possible. Finally, if he’s on ice, he’ll speed up as long as the slope goes down. 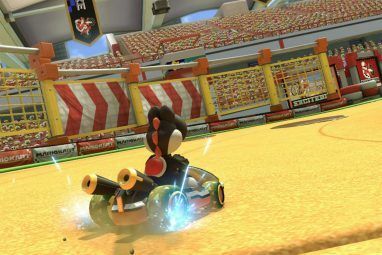 I’ve discovered that if Tux is on ice for longer periods of time, it’s actually better to let him accelerate by coasting rather than by pressing the Up arrow. Maneuverability is quite bad on ice, however, so beware. Also, watch out for trees — they will bring you to a standstill if you hit them. The free, open-source game was at one point available for Windows, Mac OS X, and Linux, but it’s primarily now available for Windows, Linux, and FreeBSD. Linux, for obvious reasons, is still the most common system to see the game played on. Linux users should be able to get the game via their respective package manager by searching for “extreme tux racer” or just “tux racer”. As it’s not a full-blown game compared to today’s standards, the download shouldn’t take very long. Once the game has installed, make sure to go through the video settings as the game will default to a resolution of 800 x 600 — I’m sure you’ll want to change that. Also, make sure that your system has at least some sort of 3D acceleration enabled. Although the game was made very long ago, it did use some advanced 3D features back in the day. I loved playing Extreme Tux Racer as a child. It’s certainly not meant to be a serious game, but it’s a fun one that anyone can immediately dive into and get a surprising amount of joy out of. 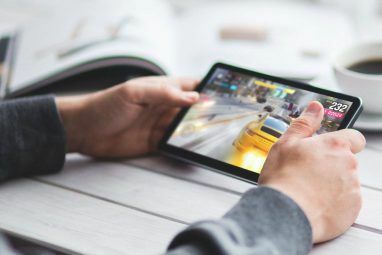 While I’m certainly happy that gaming on Linux has now evolved Linux Gaming, an Overview: What You Can And Can't Expect Linux Gaming, an Overview: What You Can And Can't Expect While desktop Linux may be a tempting platform, there's one thing stopping a lot of people from making the plunge: PC gaming. Like it or not, Windows is the de facto platform for PC gaming.... Read More to include more mainstream titles thanks to efforts by Steam, I very much enjoy going back every now and then to play titles like this. What was your favorite original Linux game? What was your favorite childhood game? Let us know in the comments! Can you find an equivalent for Android too?